After the most famous sites, what should I check out? Located in Sultanahmet to the west of the Hippodrome, the cistern is the second biggest cistern of Istanbul after the Basilica Cistern. It was built in the 4th century during the reign of Constantine the Great, and historical sources attribute it to Philoxenus. 212 out of 224 original columns have remained up until today. During the renovation work small booths for vendors, a cafe, and exhibition areas were constructed as well. Thought to be the oldest place of Christian worship in Istanbul, Hagia Irene is believed to be first built in the 4th century AD by the Byzantine Emperor Constantine I. It was originally constructed over the ruins of a pagan temple. Today it is said that the church was dedicated to a Saint Irene; however, Hagia Irene means "Divine Peace" in Greek, so it there is no such Saint in this story. Before the Hagia Sophia, The Hagia Irene served as the church of the Patriarchate. It still has its original atrium, five rows with built-in seats embracing the apse, and a great simple black cross on a gold background in the half-dome above the main narthex, which dates back from the Iconoclastic period when all figurative images were forbidden. It is also the only church that was not turned into a mosque after the conquest of Constantinople by the Ottomans in 1453. Today it is located within the Topkapi Palace complex, close to the Hagia Sophia and concerts of the Istanbul Music Festival are organized here due to its excellent acoustics. It is open as a museum every day except Monday but requires special permission for admission, requiring at least 10 people as visitors. Built during the reign of Suleyman the Magnificent by the chief Ottoman architect, Mimar Sinan, Caferağa Madrasa served as a Muslim educational school. Since 1989, it has been functioning as a touristic spot and an art center with several classes and ateliers, such as marbling, calligraphy, handicraft, musical instrument, painting, ceramics etc. There are also some special courses held only for tourists. There is also a restaurant in its courtyard, where you can have breakfast, lunch or dinner. They serve you Turkish coffee or tea with hot cookies. For the ones looking for tranquility in the middle of a metropolitan, this place is a must. “Gülhane” means “house of roses” in Turkish. It is an expansive park with different shades of green. The park was within the borders of Topkapı Palace, so it was not open to public until 1912. The park previously had a zoo inside; however, it was removed during the renovation process. Gülhane Park is also the place where the first statue of Atatürk - in Turkey - was erected in 1926. There is a teahouse inside the park with a beautiful view of the Bosphorus. After a tiring day, you can unwind under this relieving atmosphere. Standing as the largest island among the nine Princes’ Islands in the Marmara Sea, The Big Island has a long history behind. During the Byzantine Empire period, it was used as an exile and monastery region. The close relatives of kings and statesmen, who might have threatened their political power, were also exiled to this island. The old Greek name of this island is Prinkipos, which means “Prince”. The Agia Yorgi Church and Monastery, located on a hill, are the landmarks of the island remaining from the 6th century. Every year on April 23 and September 24, lots of people come to the island and climb that hill so as to reach the monastery and pray. 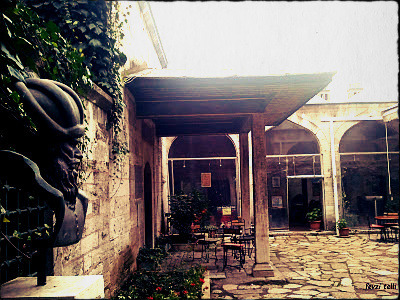 There is also a café in the garden of the Agia Yorgi Church that serves wine, non-alcoholic beverages and food. The population of the island, which is around 7000 today, has increased due to the improving access to transportation. Motor vehicles are not allowed in the island, so transportation is provided through bikes (you can rent from the shops) and horse-drawn surreys. To go to the Big Island, you can take ferries from Bostancı, Kartal or Kadiköy on the Asian side, and from Kabataş on the European side. 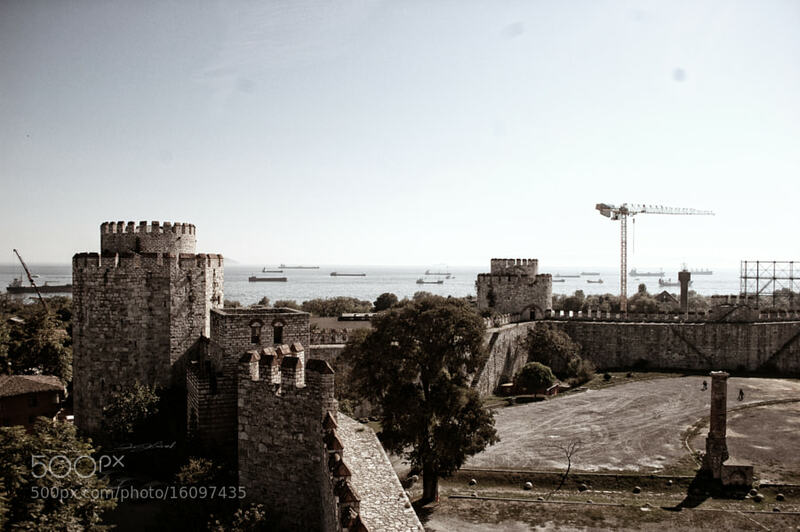 Built in 1452 by Sultan Mehmed the Conqueror before he conquered Constantinople, the Rumeli Fortress had a strategic quality to control the sea traffic during the siege of the city in 1453. You can also see the Anadolu Fortress across on the Asian side of the Bosphorus. It was mainly used as a prison, especially for foreign prisoners of war, during 17th century. The Fortress was converted into a museum in 1958. The Fortress is open to visitors during the week except for Wednesdays from 9:00 to 16:30. Built on the ruins of an old temple dedicated to Zeus by the Ottoman sultan Bayezid I between 1393 and 1394, the Anatolian Fortress is much smaller than the Rumeli Fortress. It was used during the Ottoman's second attempt to capture Istanbul. Having a 25m high central tower with five other watchtowers, the Fortress was turned into a military prison after the conquest of the city. As it was exposed to many restoration and renovation works, it no longer has its original view. Today, the Fortress serves an open air museum but only outer walls can be visited. You can walk over the road passing just through it. The construction of the Dungeons started at the time of the Byzantine Emperor Theodosius II and four of them were completed during the Byzantine period. Sultan Mehmed the Conqueror added three more towers and from that time on it was called as Seven Tower Dungeons. First used to protect the treasury, they were turned into dungeons after the treasury was transferred to the Topkapı Palace. It was used as a prison until the beginning of 1800s and then turned into a shelter for the lions of Topkapı Palace first, and a gunpowder factory later on. Today, it serves as the largest “outdoor museum” of Istanbul and hosts open air concerts in the inner courtyard during summer months. Built by Sultan Abdülaziz in 1865 as a summer residence of Ottoman sultans and a state guest house for the foreign heads of state, the Beylerbeyi Palace has a historical architecture attracting many people from all around the the world. Located along the Anatolian coast of the Bosphorus, the Palace was designed in the French neo-baroque style with a traditional Ottoman plan. Abdulhamid II was kept in captivity in this Palace from 1912 until his death in 1918 and today it serves as a museum. Situated on the European shores of the Bosphorus, Çirağan Palace was built by Sultan Abdülâziz between the years 1863 and 1867. It was a time when each sultan had his own mansion built, instead of using his ancestor’s. Çirağan Palace is the last building of this fashion. However, soon after the Palace was completed, Abdülaziz and his family were imprisoned in this palace as he was dethroned and they were mysteriously found dead one morning. Sultan Murat V was also kept in captivity for 29 years with his family after he was deposed. The Palace was destroyed in 1910 after a great fire, leaving only the outer walls intact. A Japanese company restored the Palace in 1989 and built a modern hotel inside it. Today, the Palace serves as a five-star luxury hotel called as Çirağan Palace Kempinski, blending Ottoman-era sophistication with state-of-the-art amenities. Located off the shore of the Salacak district in Üsküdar, the Maiden’s Tower, also called as the Leander's Tower, has been used for a variety of purposes since its first construction. It is not known exactly when it was built; however, some sources suggest that it could be around 340 B.C. Sultan Mehmed the Conqueror pulled down the old tower and built a wooden tower in its place, which was destroyed due to a fire in 1719. Today’s tower was constructed in 1725 and since then, it was used as a lighthouse first and then a quarantine station during the cholera epidemic in 1830. There are several legends as to the origins of the tower, which are from Turkish, Greek and Byzantine cultures. Today, there is a restaurant serving inside the tower and it is a famous destination for local and foreign tourists. Private boats from Kabataş and Salacak make trips to the tower several times a day.